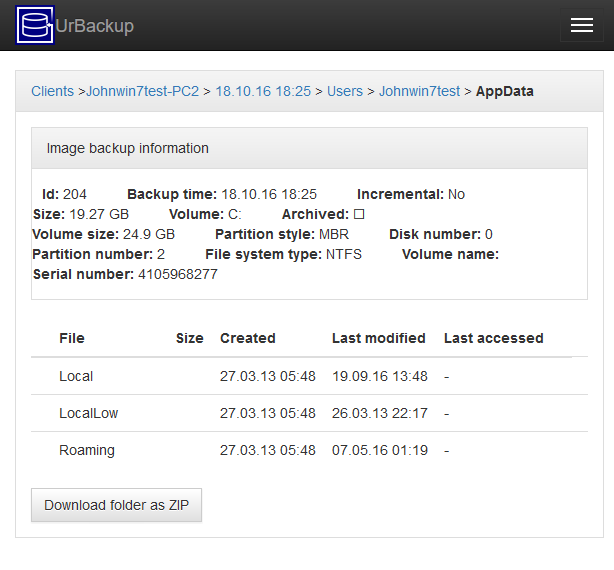 UrBackup 2.1.x can now mount image backups. 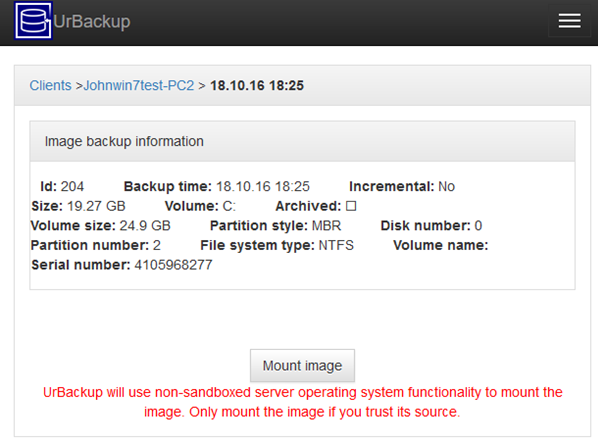 That is, it lists the image backups it has on the web interface, you can browse into them and e.g. 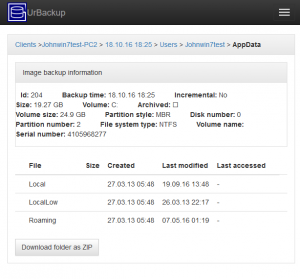 download files or directories as a ZIP file. I am particularly proud that this works on Linux as well as on Windows with both raw image files and VHD(z) files. On FreeBSD it only works with raw image files currently. The screenshots are from a Windows UrBackup server. On Linux it uses libguestfs-tools to mount images in a sandboxed virtual machine. On Windows/FreeBSD mounting a hostile image may be a dangerous operation. 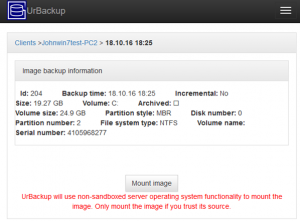 This entry was posted in FreeBSD, Linux, UrBackup Server, Windows by admin. Bookmark the permalink. Fantastic as always. You do amazing work. Thanks for the update. I’m glad to see dev is ongoing for this. 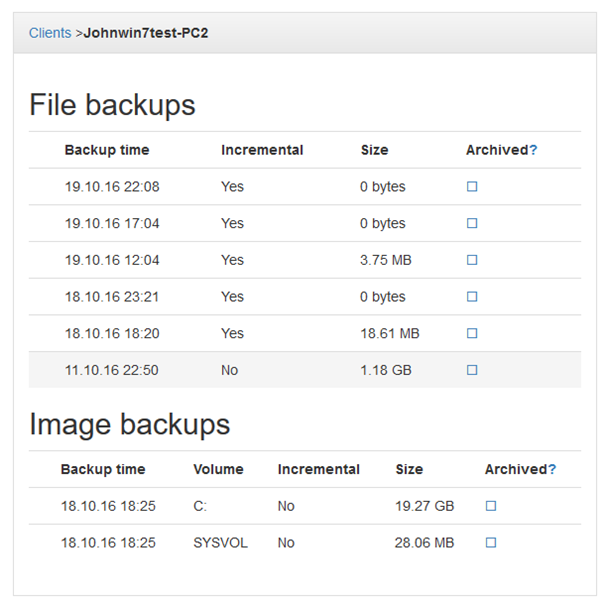 I look forward to using it to deploy a cloud backup solution for my clients. This isnt working for me. I check the mounts in my server and it shows that it is mounted but after clicking Mount Image and it loads with the headers File, Size, Created, Last Modified, etc… it doesnt show the files… Is this a bug? does it require certain packages? i installed libguestfs-tools but it still did not pull up. 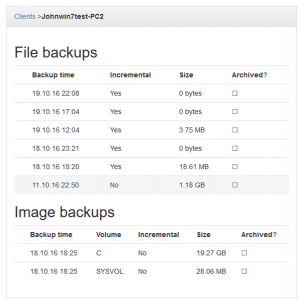 I would like to say that this is the perfect and only really good working backup-solution! Thousands Thanks for this development, I have been looking for so long time and have found it only now. THANK YOU! does not work for me on arch server…what could I do? installed libguestfs from aur. So, “device” is just a file that is not loop-mounted or so. What to do? libguestfs of last version is of course installed.